Someday I’ll type not quite nigella bacon jam and won’t get a hit. It keeps me up at night. An internet treasure gone forever. That’s why I’m posting my minor tweak on that recipe. It’s very close to the original. Certainly I can’t take any credit for this recipe. I’m just following along here. 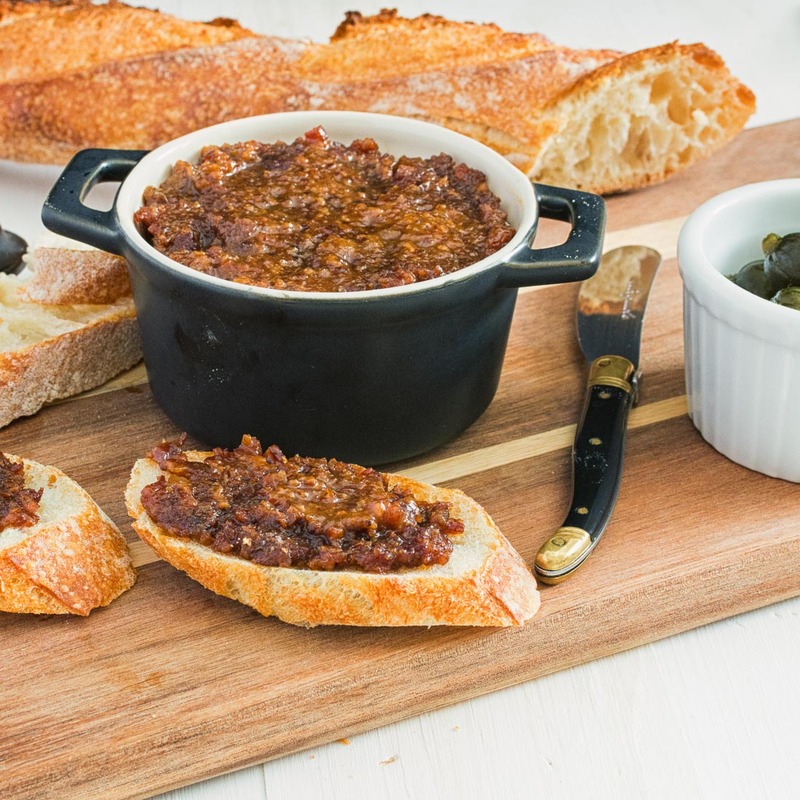 You don’t hear about bacon jam enough. You should. It’s delicious. It’s artery clogging. It’s unabashedly carnivorous. A sodium bomb. Maybe that’s why it gets a bad rap. But it’s so good. Serve it at a party. Just put it out with some baguette slices. You have to share if you make this. Eating a batch yourself could kill you. It makes a great condiment too. Think BLT but swap the jam for the bacon. Or smear it on crostini with a bit of sharp cheddar. Make the ultimate bacon cheeseburger. So many possibilities. Just don’t heat it up too much. It will get greasy. It’s easy to make it exactly as originally written if you want. Replace the chipotle puree and pure chili powder with tabasco sauce and black pepper to taste. Add the garlic at the same time as the onions. Add 1/4 cup of water every 30 minutes. That’s it. Like I said, my tweak is minor. Bacon jam salty, sweet, savoury bacon goodness in jam form. It's best if it can sit for a day before serving. Serve it on baguette, in a BLT or on a really good burger. Fry the bacon in batches in a non-stick pan. Keep all the drippings in the pan. Add the onions to the drippings. Cook for 5 minutes. Toss in the garlic and cook a minute more. Add the rest of the ingredients and simmer, covered loosely for about 90 minutes. Stir it every 20-30 minutes. Add a bit of water only if it starts to get dry. After 90 minutes, add 3-4 drops of liquid smoke and cook uncovered until the mixture is fairly dry. Blitz in a food processor. You can leave it a bit chunky or blitz it a bit longer for a smoother puree. In american, appetizer, sides and stuff. Bookmark the permalink. That’s the spirit. Keep those New Year’s resolutions to a minimum! You sir are ending the year on the right foot with this delicious madness! You go boy! Bacon jam is new for me. But it sounds so delicious and intriguing. I’ll have to make some and share it with my sister who loves all things bacon. If she likes bacon, this should work for her. This is just amazing ~ it was National Bacon Day here the other day, and I posted a bacon brittle! I think a little bit of bacon (or bacon jam) makes everything better! How on earth did I miss National Bacon Day. I need to get more dialled in. Bacon jam has been on my list to try and after looking at yours I need to elevate it on my list! I’ll buy nitrate-free bacon and maybe it’ll keep one artery clear – lol. Pinning! I use bacon from a local producer as much as I can. It’s naturally smoked over hardwood so at least the nitrates come from wood instead of a chemical factory. There’s such a range of quality and flavour in bacon I find it pays to seek out the good stuff. 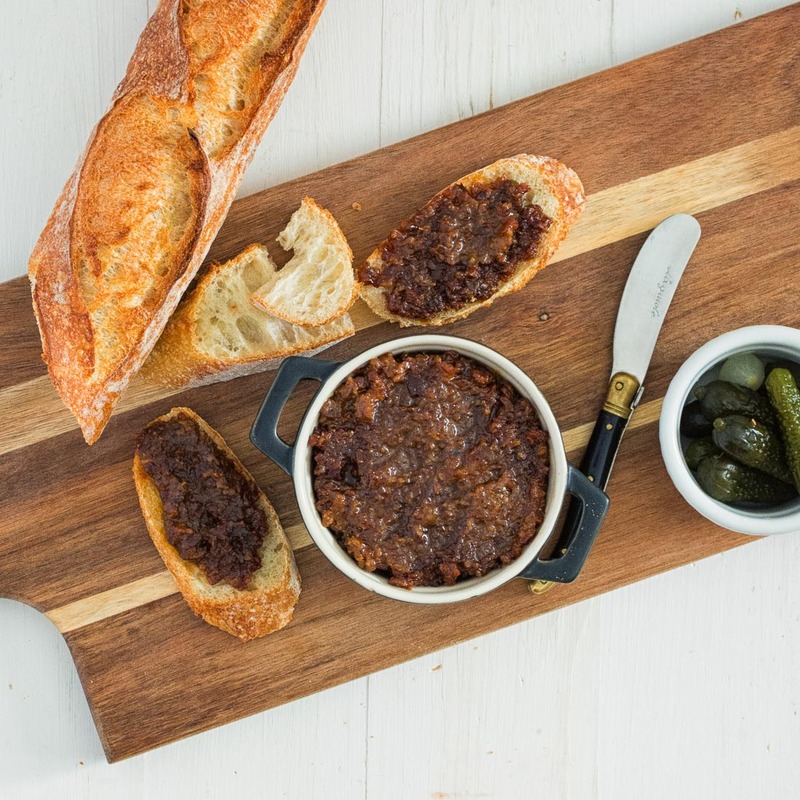 I’ve seen bacon jam so many times, but never made it… you’ve just convinced me I need to give it a try. This looks and sounds amazing! It’s one of those things that are worth trying at least once. Hope you like it. 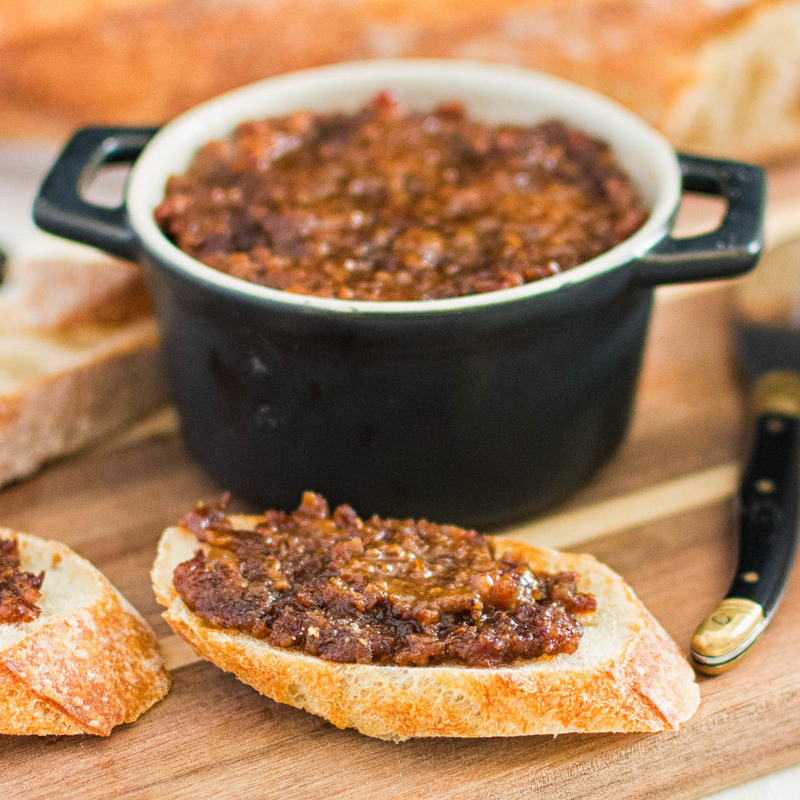 Bacon jam sound like the most amazing thing to put on my gluten-free bread. Definitely giving this recipe a try! Haha. The only thing this recipe has going for it health wise is it’s gluten free!